Market researcher NPD has released its estimated U.S. sales figures for video games and video game consoles for the month of January 2011…and the results aren’t all that great for the industry as a whole, although there are some standout successes for the month. Overall, sales of games and hardware totaled $1.14 billion during January, down from $1.18 billion in January of 2010. However, the slump would have been larger if not for the emerging popularity of new dancing games like Ubisoft’s Just Dance, Harmonix’s Dance Central, and Zumba Fitness: Join the Party. For the month, NPD sales sales of game hardware were down eight percent compared to a year ago, bringing in $324 million compared to $353.7 million. Software sales were also down five percent to $576 million from $606.8 million. Only gaming peripherals&mdsah;like Microsoft’s Kinect motion sensor system for the Xbox 360 and Sony Move for the PS3—saw improved sales from last year, with sales up 6 percent to $235.1 million. Activision Blizzard’s Call of Duty: Black Ops was the top-selling game of the month, still riding high after a record launch last November. 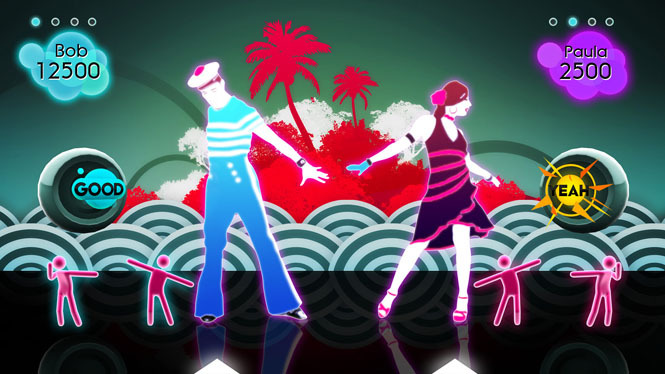 Ubisoft’s Just Dance 2 came in second for the month, Zumba Fitness: Join the Party came in fifth, and both Ubisoft’s Michael Jackson The Experience and the Kinect-supporting Dance Central cracked the top ten. Rounding out the top five titles for the month were EA’s Dead Space 2, and Sony’s Little Big Planet. Respawn Entertainment tried to make Caustic and Gibraltar more playable with Apex Legends version 1.1.1. The Fortified passive ability is meant to reduce incoming damage by 10%, but it is not working properly. Posted 4 hours ago — By Charles Singletary Jr.